"State Pier, Providence, R. I." by Chas. H. Seddon, Providence, R.I.
State Pier, Providence, R. I.
Chas. H. Seddon, Providence, R.I.
Chas. 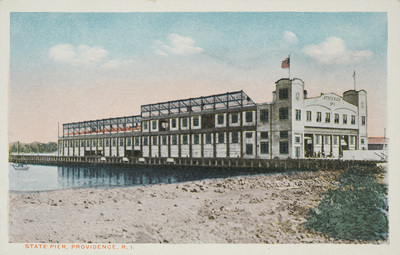 H. Seddon, Providence, R.I., "State Pier, Providence, R. I." (1935). Rhode Island Postcards. 215.